Undocumented Women Speak: Trudeau Has Failed Us! 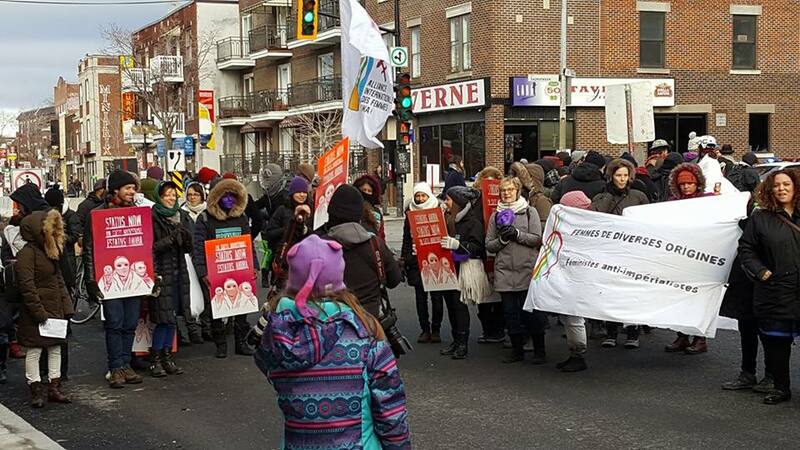 3 December 2016, Montréal – In November 2015, the Non-Status Women’s Collective sent an open letter to Prime Minister Justin Trudeau. In their letter, they described the extreme precarity in which non-status women live and asked him to take a position on the situation of non-status people in Canada. One year later, they have still not received a response. In the face of government indifference, non-status women are addressing the public at large to denounce the arbitrariness of Canada’s immigration system and its particularly negative impact on women, determined to raise awareness about the reality of non-status women in Canada. “We clean your homes, serve you in restaurants, work on assembly lines, produce the food you eat. We pay taxes,” they wrote in an open letter to Prime Minister Trudeau. Non-status women work some of the most difficult and precarious jobs, raise their children, and contribute to the wealth of Canada, but their precarious status renders them especially vulnerable to exploitation, abuse, and fear. They contribute to society in innumerable ways but are excluded from the most basic forms of public security, denied access to health, education or social services, and many live in constant fear of arrest and deportation. With the support of more than twenty women’s rights organizations, the Non-Status Women’s Collective expresses their solidarity with Indigenous, homeless, and racialized women, and victims of sexual violence as part of the twelve days of action for the elimination of violence against women. The collective demands that the Trudeau administration cease the discretionary case by case analysis of individual immigration files and offer a comprehensive regularization program for all people living in Canada without status. In demanding the regularization of all those living undocumented, they fight for the ability of all to live in dignity, respect, and with equal rights. 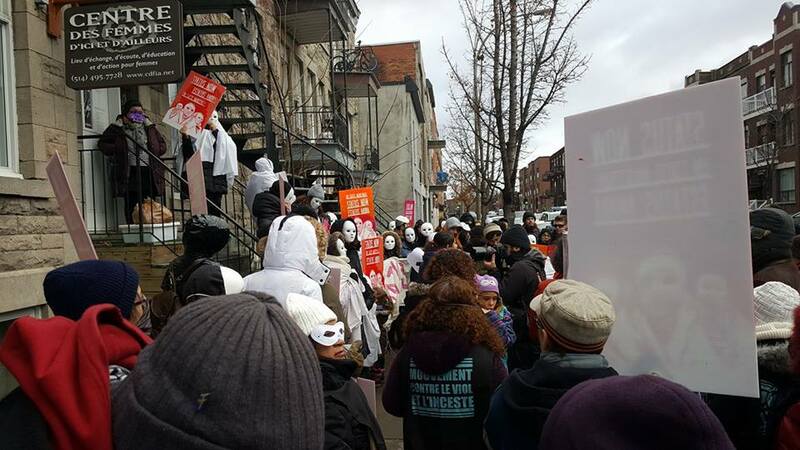 On Saturday, members of the Non-Status Women’s Collective and their allies took to the streets in white masks and ghost costumes to denounce the invisibility in which non-status women live and to support the Collective in their struggle for the regularization of all non-status women and the more than 500,000 non-status people currently living in Canada. Border violence is gendered violence! (Video) Stop destroying our families!